The Pulsar 900 is the most advanced and portable system on the market in this price range. ¨ TLP Current to 20A into a short. ¨ Pulse Polarity is switched +/- 1200 Volts . ¨ Pulse width variable from 4ns to 300ns. ¨ Easy Wafer Level characterization with most any probe station. ¨ Wafer and Package level testing. ¨ Pulse rise times of ~500ps to 10ns. ¨ Current vs. Leakage displays. ¨ Up to 10 optional bias supplies! ¨ Custom rise times and pulse widths available. · Traces at selected locations along a TLP curve (integrated with the TLP test). · Pulse delay for combining pulses in VF-TLP. · Automated Signatone prober integration. 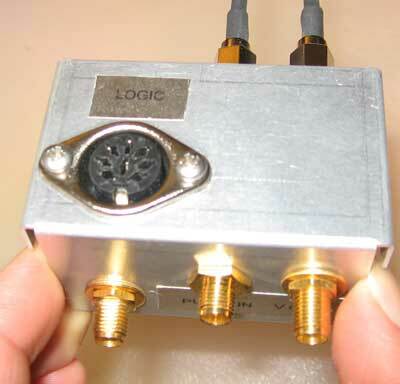 - Available with Rigol 600MHz or 1GHz Scope, will work with most manufacturer. - SQP Pulsar 900 with computer. - SORZ self calibration Unit. - A full 18 month warranty. Auto or manual scale plot axis. Superimpose leakage data onto pulse current vs. Voltage data. Concurrent display of multiple sets of data. Intuitive test file data storage and retrieval. On resistance easily displayed and calculated.